Good afternoon. Thank you very much for the kind introduction. Since the financial crisis, the topic of today's conference—Optimal Bank Capital Regulation—has been of considerable interest to academics, the official sector, and market participants. Some have argued for dramatically higher capital requirements, while others have argued with equal conviction for substantially lower capital requirements. I am happy to be here today to offer some thoughts about potential trade-offs across supervisory tools and objectives, and how one might consider those trade-offs within the current supervisory framework. I conclude that the U.S. banking system has become considerably more resilient since the financial crisis, which is a necessary condition for the sustainable provision of financial services to households and businesses that supports the growth and stability of the U.S. economy. A well-functioning financial system intermediates between savers and borrowers, supports a robust payments system, and facilitates risk transfer and the efficient allocation of capital. This occurs through a wide range of institutions including bank holding companies, banks, and other firms supervised by the Federal Reserve System.1 In that context, a healthy bank maintains a strong balance sheet, measured by conventional metrics like capital, liquidity and asset quality; has a durable business model that generates a sustainable stream of earnings commensurate with a properly-defined risk profile; and has the appropriate controls in place that include, among other things, a robust risk management framework, a strong audit function, and effective oversight by the board of directors. All of these factors make a financial institution stronger and lower the chance that a shock such as an unexpected deterioration of credit quality or operational loss would drive the firm into insolvency, result in a loss of confidence by the firm's creditors, counterparties, investors or customers, or force the firm to curtail its core activities. That is, a healthy firm is more resilient. This is true for financial institutions of all sizes and represents a baseline supervisory goal. I should emphasize that resiliency is not the ultimate aim, but rather a means to broader policy objectives. A resilient firm, for example, is more likely to provide a sustainable flow of financial services—broadly defined to include credit intermediation, payments, and risk transfer—through the cycle and across a range of possible macroeconomic outcomes; a resilient firm is less likely to harm the economy or consumers through excessive risk-taking; and a resilient firm is less likely to put taxpayer funds at risk. That is why resilience of financial institutions is valued. This framework expresses two complementary goals for the Federal Reserve's program for large bank supervision: (1) Enhanced resiliency of the firm to lower the probability of failure or inability to serve as an intermediary and (2) Reduced impact on the financial system or economy in the event failure or material weakness does in fact occur. To analysts of credit, this will sound familiar because it is essentially a probability of default/loss given default or PD/LGD framework. The key elements of enhanced resiliency, or lower PD, in this framework include capital, liquidity, corporate governance, management of core businesses, and recovery planning. A reduced impact of distress, or lower LGD, depends on effective management of critical operations, support for banking offices, and strong resolution planning. This tailoring principle drives efforts to mitigate risks to financial stability, while minimizing the collective burden on financial institutions, particularly for community and mid-sized banks, and allocating supervisory resources most efficiently. As a result, the standards and expectations from supervision become more stringent as a firm becomes larger and more complex in ways that pose risks to the broader financial system. With that background in mind, I'll turn to the question of "optimal" bank capital that is the topic of this conference. To me, the question of optimal capital implies some type of a trade-off. This thinking is not limited to bank capital, but reflects all of the potential supervisory and regulatory tools such as capital and liquidity standards or a resolution framework. One can frame this trade-off simply in terms of two objectives often attributed to supervision: ensuring the safety and soundness of financial institutions and promoting efficient financial intermediation that supports the growth and stability of the U.S. economy. Other objectives could include, for example, reducing the potential spillover costs associated with distress and promoting fair and transparent financial services for consumers. In many cases, the objectives of enhanced resilience and efficient financial intermediation are mutually reinforcing. For example, a firm with a strong traditional lending franchise with appropriate risk management can both build capital organically through retained earnings and serve its customers through the efficient provision of financial services. Similarly, a firm that diversifies into a broader portfolio of financial products may reap the benefits of economies of scope and diversification, while better serving its clients' needs. This would support both enhanced safety and soundness and the broader objective of effective financial intermediation. This suggests the potential for a trade-off between resilience and intermediation, implying an "optimal" level of capital. This simple, static framing, however, is incomplete and requires further elaboration in terms of the policy horizon and a broad perspective on costs and benefits. First, as I mentioned earlier, the core function of a bank is to provide financial services, and that is not just in the short-term, but also in a sustainable manner over time. A critical argument behind the desire for resilient financial firms is that they are more likely to withstand shocks and to continue to function through a wide range of macroeconomic and financial conditions. This suggests that the apparent short-term trade-off between resilience and the provision of financial services may be reframed over a longer policy horizon as a dynamic trade-off between the provision of financial services today and in the future. For example, a stated goal of the first public stress test in the U.S., the Supervisory Capital Assessment Program (SCAP) during the financial crisis in 2009, was to ensure that participating banks would have sufficient capital to "withstand losses and sustain lending—even if the economic downturn is more severe than is currently anticipated. "6 Resilience is valued because it supports the sustained provision of financial services over time and across macroeconomic outcomes. Second, the official sector considers all potential costs and benefits to society when evaluating a policy in a way that private actors may not. For example, asset fire sales dynamics that negatively impact market prices or a loss of confidence in the industry during periods of uncertainty or distress are examples of "externalities" with far-reaching effects on the financial system.7 Moreover, those costs and benefits will be realized in the future and thus need to be assessed ex ante from a probabilistic perspective. The official sector includes all of these costs and benefits to society in assessments of policy efficacy. This makes evaluating trade-offs and assessing effectiveness difficult, and suggests that simple assessments are likely to be incomplete. Policy assessment requires a rigorous evaluation of a broad range of outcomes, and an important part of the ongoing dialogue in conferences like this one is to continue to develop the conceptual frameworks and to study the data in order to make the most meaningful assessments of policy effectiveness. I will now discuss two perspectives on bank performance since the financial crisis that serve as rough proxies for the resilience of the industry and the provision of financial services. This is clearly not a rigorous test of whether specific regulations are optimal, but provides some indicative results about trends in resiliency and financial services. One can also look beyond the aggregates to see how capital and liquidity are distributed across large banks. 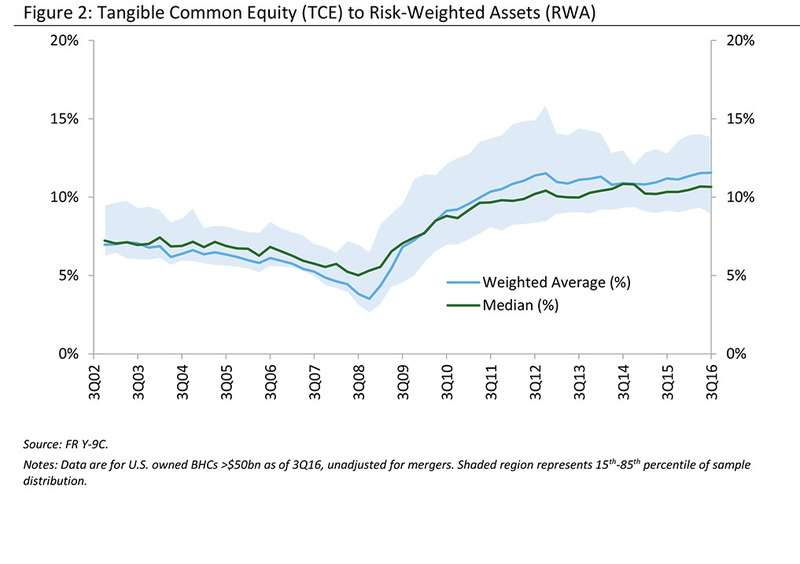 (Figure 2) plots the aggregate ratio of tangible common equity to risk-weighted assets for a sample of large bank holding companies, and the 15th and 85th percentile bands. The entire distribution has shifted upward with the 15th percentile in 2016 comparable to the 85th percentile in the pre-crisis period. Not only has resilience increased in the aggregate, it has increased for most large institutions. 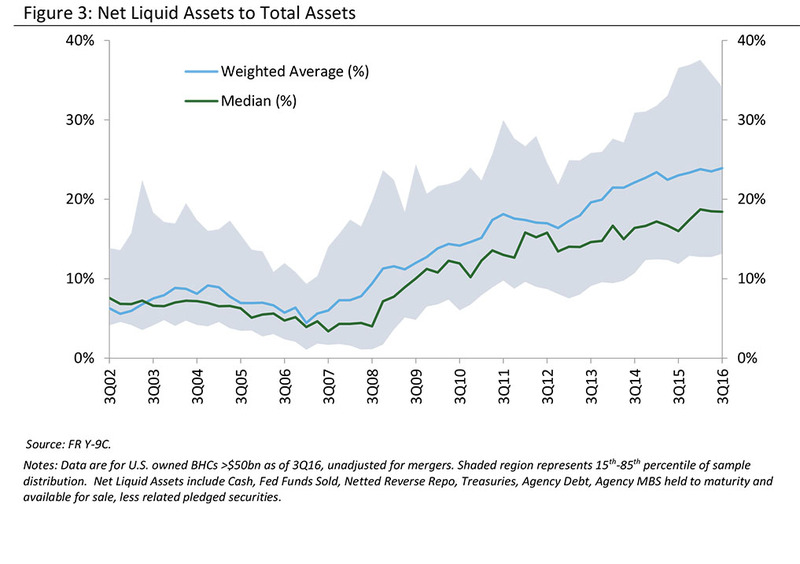 (Figure 3) shows similar data for net liquid assets as a share of total assets. 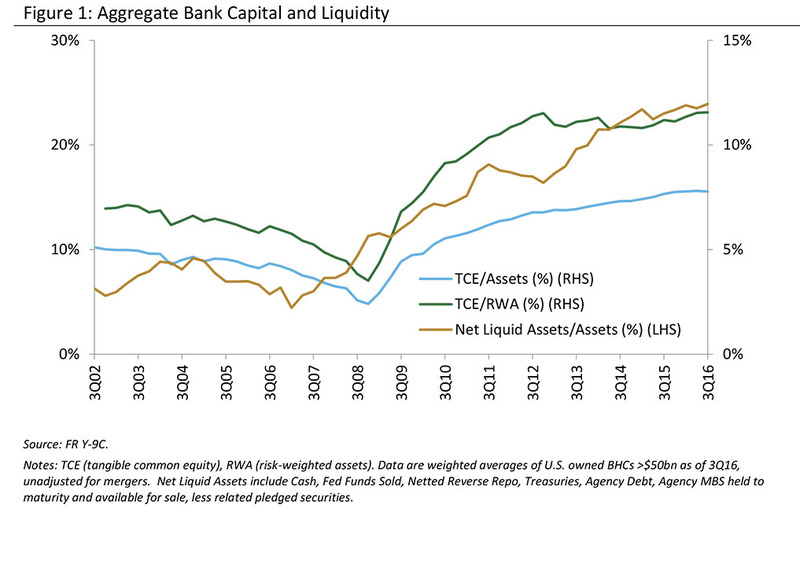 Large banks have improved their liquidity profile, both in aggregate and in the cross-section. Over the same period, banks have also shifted the composition of liabilities towards more stable sources of funding such as core deposits and away from non-core and short-term wholesale liabilities. Those funding shifts have bolstered system resilience by reducing the risk of runs and fire sale asset liquidations. 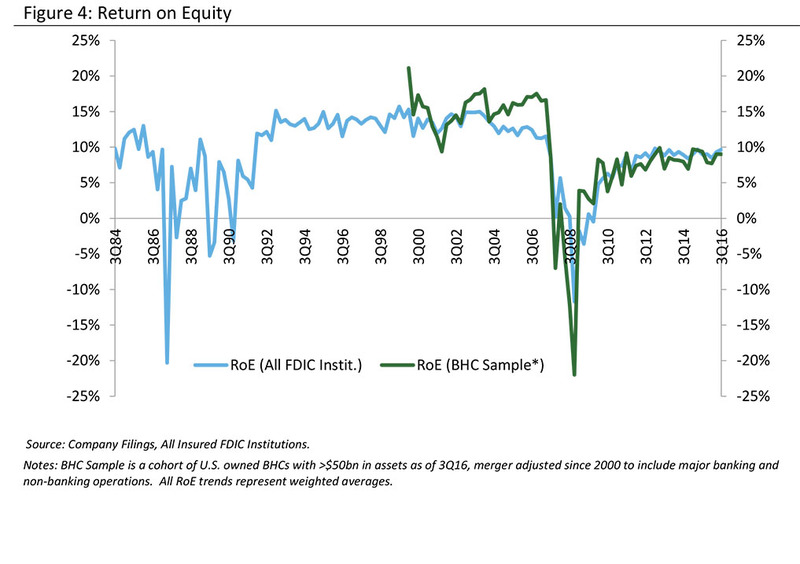 (Figure 4) plots the return on equity for the U.S. banking industry, both as a whole and for the large banks used above on a merger-adjusted basis. This accounting measure of profitability shows an improving picture over the last few years, with ratios recovering towards historic norms despite significant headwinds from the low rate, flat yield curve environment and modest economic growth. This trend is particularly noteworthy when one considers the substantial increase in capital held in the banking industry. 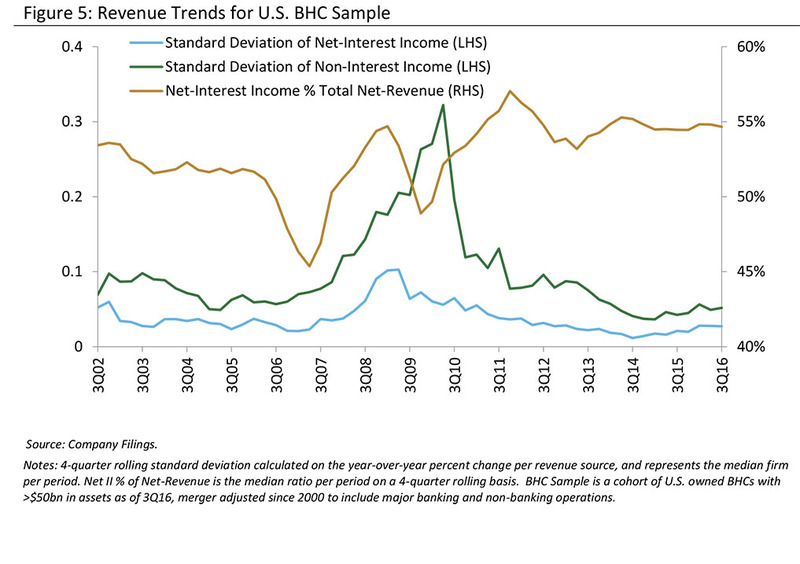 In addition, as shown in (Figure 5), earnings have shifted back toward net interest income and have been more stable in the post-crisis period, which is consistent with the idea of more sustainable and less volatile earnings streams. Finally, it is useful to compare the U.S. experience to other developed economies. 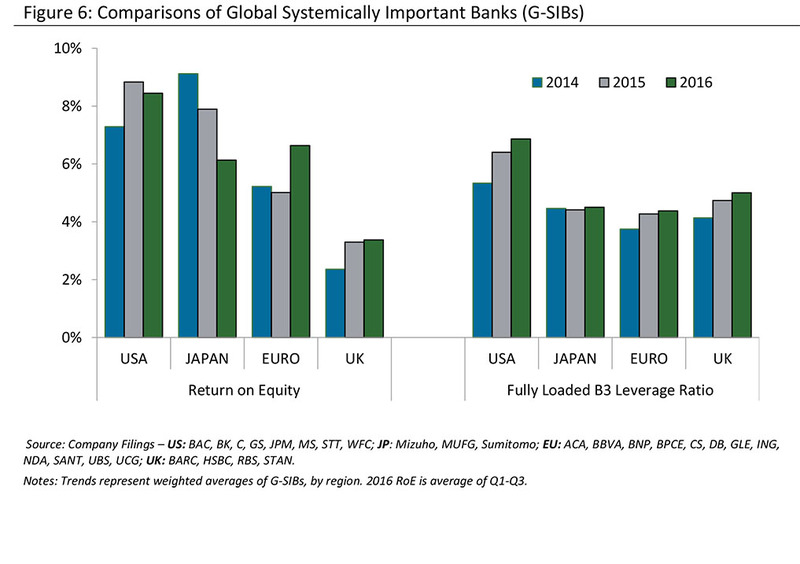 As shown in (Figure 6), large U.S. bank outcomes compare favorably to their global peers from both a profitability and capital perspective. This is supportive of the conclusion that the suite of post-crisis official sector actions in the U.S. has made the U.S. financial system more resilient, while not eroding global competitiveness. I will now turn to the provision of financial services by looking at indicators of different types of banking activities such as lending or underwriting activities.10 A more rigorous analysis would identify supply and demand factors in an attempt to understand not just what has changed, but why, and could allow an assessment of whether financial services are efficiently provided. Nonetheless, this perspective provides a benchmark from the pre-crisis period to support some initial conclusions. In terms of traditional lending, (Figure 7) shows that the ratio of aggregate bank loans to GDP—a rough measure of credit intermediated through the banking sector—has recovered from the post-crisis low and is consistent with historical levels. 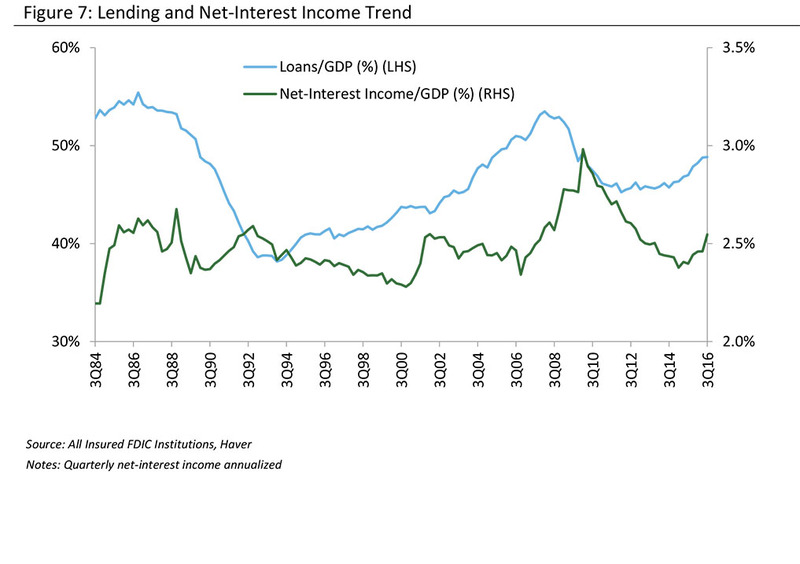 In addition, aggregate net lending revenues, proxied by net interest income and scaled by GDP, are near historic norms despite compression of net interest margins in the low rate environment. Survey evidence of credit availability also shows ongoing provision of credit. According to the National Federation of Independent Business, the proportion of small businesses that report credit as hard to get has declined to pre-crisis levels.11 This is consistent with the generally easing credit conditions across most loan classes over the last several years reported in the Fed's Senior Loan Officer Opinion Survey, particularly in commercial and auto loans, but also expanding more recently into other types of household credit.12 This evidence suggests banks continue to provide this core financial service. I conclude this section by emphasizing that the supervisory goal is not to allocate credit or to dictate specific aspects of business models, but rather to ensure that firms are resilient so that they can meet the broader policy objectives of the sustainable provisions of financial services and financial stability. I would be remiss, however, if I left you with the impression that all supervisors focus on is capital, liquidity and earnings. It is not all about the balance sheet and the income statement. Financial institutions face other risks that threaten their ability to provide financial services or even their viability, and supervisors are acutely aware of these risks. I will briefly discuss three—cybersecurity, fintech, and business conduct risk. Beginning with cybersecurity, the Federal banking agencies have recently released an advanced notice of proposed rule-making around a set of potential enhanced cybersecurity risk-management and resilience standards that would apply to large and interconnected entities under their supervision.14 Supervisors and regulators continue to work with other agencies in the official sector to defend against cyber-attacks and to minimize the disruption from a successful attack. This type of disruption could impede the critical services from the financial sector and is a first-order concern. On fintech, which I define simply as the intersection between financial services and technology, I view this as potentially disruptive with the ability to transform how financial services are provided. This could have a wide range of possible impacts on supervised firms depending on the nature of the innovation, how new technologies or service models are introduced and adopted by supervised firms, and the resulting impact on business models, competition and market structure. Federal Reserve Governor Brainard has recently discussed these issues and highlighted some of the critical issues and potential trade-offs.15 For example, new entrants' use of non-traditional data may enhance credit analysis, but this could have implications for consumer privacy and protection. As a second example, the economics of innovation may favor rapid introduction of new products to gain a first-mover advantage, but this approach may be a challenge in an industry like banking that requires trust and confidence to support a stable business model. It is imperative that risk management keep pace with financial innovation. Third, I'll mention business conduct risk. The New York Fed has challenged the financial industry to consider and address the many factors that have contributed to recent, widespread misconduct at large financial firms.16 These incidents impose real costs in the form of fines, settlements, and the diversion of internal resources related to investigation and remediation. In addition, there are more difficult to measure costs linked to the potential loss of confidence and trust in the firm and the industry. Recurring misconduct poses a real threat to the provision of financial services if customers and counterparties were to pull away from the sector. Supervisors can help mitigate these risks by supporting the development of effective internal governance regimes, prudent risk management policies, and strong compliance and control structures, all within a framework of effective oversight from the firm's board of directors. SR 12-17, for example, describes the essential components of effective corporate governance and sets the expectation that a firm's board of directors should establish and maintain a firm's culture, incentives, structure, and processes necessary to promote compliance with laws, regulations, and supervisory guidance and to avoid conflicts of interest and the effective management of reputational and legal risks. Using the trade-off language from earlier, this might be framed as ensuring that potential short-term gains are appropriately balanced against the longer-term objectives of serving clients and maximizing value over time. In my view, this goes further than the incentives, processes, and oversight roles. All of these are necessary, but they are not likely to be sufficient. Firms also need to look at how leadership dimensions drive decisions, whether there is effective challenge from controls functions, how the inevitable mistakes are treated, and how compensation and promotions are determined. Ultimately, establishing and maintaining an effective culture with appropriate risk governance and controls is the responsibility of individual firms and the industry, but the official sector can help highlight best practices, solve collective action problems, and drive toward socially desirable outcomes. And, finally, we must recognize that there are risks that we don't see. We all suffer from blind spots—issues we should be thinking about, but aren't. One of the most important supervisory challenges we face is to always ask ourselves—what are we missing? What else should we be studying? Where are new risks emerging? As the financial industry continues to evolve in response to regulatory, technological and business factors, I expect new issues will emerge that potentially threaten individual firms, and supervisors need to be prepared to address them. Effective supervision and regulation help create the environment where financial institutions provide critical intermediation services in a sustainable manner over time. A key lesson of the financial crisis and the post-crisis period is that stronger, more resilient financial firms can dampen rather than amplify shocks to the system. 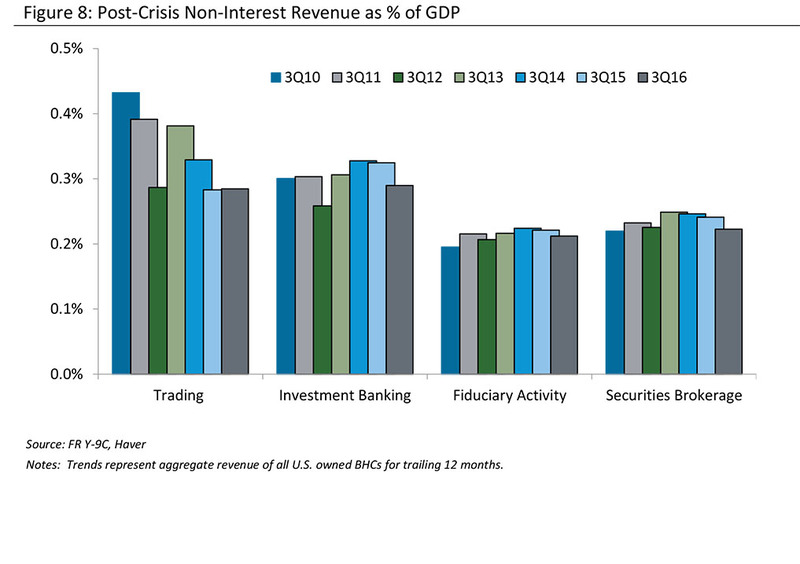 The greater resilience we observe today relative to the pre-crisis period suggests the U.S. financial sector is better positioned to continue to provide the critical services to households and businesses that are necessary to support the U.S. economy across a wide range of potential macroeconomic and financial conditions. It is also essential to distinguish the intended consequences of supervision and regulation where informed choices are made based on careful data analysis from the unintended consequences where outcomes are not consistent with policy objectives. This requires both a conceptual framework to identify costs and benefits to society as a whole, and empirical analysis to measure them. In my view, it is entirely appropriate to continuously evaluate and rigorously assess the impact to ensure that the observed outcomes are consistent with stated objectives such as greater resilience, efficient financial intermediation over time, and financial stability. Conferences like this that bring together the official sector with financial analysts, markets participants and academic economists play an important role in developing the theory and empirical analysis needed to inform those assessments. The primary sample includes U.S. owned bank holding companies (BHCs) with assets greater than $50B as of 3Q16. This represented approximately 80% of all U.S. owned BHC assets. Where available, estimates are adjusted for mergers since 2000 to include major banking and non-banking (broker-dealer) operations. The FDIC sample represents all FDIC-insured depository institutions. 1 The Federal Reserve supervisory program described here applies to bank holding companies, and I use the term "bank" for ease of exposition. 2 "Consolidated Supervision Framework for Large Financial Institutions," SR 12-17, December 17, 2012. This framework applies to institutions that are part of the Federal Reserve's Large Institution Supervision Coordinating Committee (LISCC) portfolio, including domestic banking organizations with consolidated assets greater than $50 billion, large foreign banking organizations with combined assets of U.S. operations greater than $50 billion. 3 "Supervision and Regulation," Federal Reserve Chair Janet Yellen, September 28, 2016. 4 "Amendments to the Capital Plan and Stress Test Rules," Federal Reserve Board of Governors, January 30, 2017. 5 The cost of capital for banks may depend on the mix of equity and liabilities due to tax effects, conjectural guarantees, inefficiencies in raising equity, or the opacity of bank risk. For alternative views on this topic, see "Higher Bank Capital Requirements Would Come at a Price," Douglas Elliott, Brookings Report, February 20, 2013 and "The Miss Opportunity and Challenge of Capital Regulation," Anat Amati, National Institute Economic Review, February 2016. 6 Federal Reserve, OCC, and FDIC Release Results of the Supervisory Capital Assessment Program, May 7 2009. 7 "The Theory and Practice of Supervision," Kevin J. Stiroh, April 11 2016, describes the role of externalities in supervision in the broader context of market frictions. 8 "Have Big Banks Gotten Safer," Summers, Lawrence H. and Natasha Sarin, Brookings Papers on Economic Activity, Fall 2016. 9 Net liquid assets are defined to include cash, central bank reserves, federal funds, net reverse repos, and certain U.S. treasury and agency securities. 10 Of course, one could look at a broader range of financial services such as market-making activities, provision of payment services, or risk transfer activities. 11 "Small Business Economic Trends," National Federation of Independent Businesses, December 2016. 12 "Senior Loan Officer Opinion Survey on Bank Lending Practices," Federal Reserve Board of Governors, October 2016. 14"Agencies Issue Advanced Notice of Proposed Rulemaking on Enhanced Cyber Risk Management Standards," Federal Reserve Board of Governors, October 19 2016. 15 "The Opportunities and Challenges of FinTech," Governor Lael Brainard, December 2, 2016. 16 The Federal Reserve Bank of New York hosted a conference last October on "Reforming Culture and Behavior in the Financial Services Industry: Expanding the Dialogue."